CHICAGO - LaSalle Network, a national staffing, recruiting and culture firm, has been recognized on Training magazine’s 2019 “Training Top 125” list for its third year. This award assesses employer-sponsored training and development programs and recognizes the best in the country. The “Training Top 125” ranking is based on myriad benchmarking statistics such as number of training hours per employee program, hours of training per employee annually, detailed formal programs, among others. The ranking is determined by assessing a range of qualitative and quantitative factors, including financial investment in employee development, the scope of development programs, how closely such development efforts are linked to business goals and objectives, and the results they achieve. In the past year, LaSalle Network conducted more than 1,000 hours of training for staff across all levels. The company's new-hire training program consists of various sessions led by the training department, as well as LaSalle’s leadership and management teams to ensure employees hear from various internal subject matter experts, receive rich content and information, and experience practical interaction. The rankings for the 125 leading organizations will be unveiled during the Training 2019 Conference & Expo, taking place at Disney's Coronado Springs Resort, located at 1000 Buena Vista Dr., Orlando, Fla., on February 25, 2018. About LaSalle Network LaSalle Network is a national staffing, recruiting and culture firm with business units that specializing in accounting and finance, administrative, call center, healthcare revenue cycle, human resources, management resources, marketing, sales, supply chain, technology and executive search. Since inception in 1998, LaSalle has worked with thousands of clients and placed thousands of candidates in temporary, temporary-to-permanent and permanent positions. Its newest offering, Culture 20/20, works with companies of all sizes and industries to help them focus on what matters: Culture. Performance. Results. 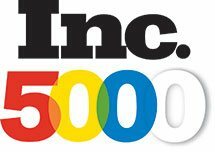 LaSalle Network has been listed on Inc. Magazine’s 500/5000 “Fastest-Growing Privately Held Companies in America” list for 11 consecutive years, named by Staffing Industry Analysts as a top five “Best Staffing Firms to Work For” from 2011 to 2017, Inc. Magazine’s 2016 and 2018 “50 Best Workplaces,” Forbes’2018 "America’s Best Professional Recruiting Firms" list, Fortune's "Best Small & Medium Companies to Work For" in 2018, and Crain’s Chicago Business’ “Best Places to Work” list from 2014 to 2018. The firm has offices in downtown Chicago, Nashville, Oak Brook and Schaumburg. For more information, please call 312-419-1700 or visit www.lasallenetwork.com. 7-7-15 – Krisi Rossi O’Donnell, Vice President of Staffing and Recruiting at LaSalle Network, discusses the many reasons why B players are just as important as the A players. Read here. FOX Business Network – Should unemployment be a tiered process? February 05, 2014 – Tom Gimbel joins FOX Business Network to offer his insight on why unemployment should be a tiered process. Watch the video here.